Atom package and Language Server providing support for working with Spring Boot apps. 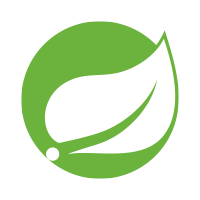 Show information from running Spring Boot apps on your machine in the source code. This allows you to run the Spring Boot app locally on your machine and visualizes information from those running apps in your source code. Once the tooling detects a running Spring Boot app on your local machine, it automatically shows hints in the source code where data from the running app can be inspected. Then hovering over that area (with the mouse pointer), the data from the running app shows up. If there are multiple instances of the app running on your machine, the live data from all those instances will show up in the hover information. Atom package and Language Server providing support for working with Spring Boot application.properties and application.yml files. application.properties => activates support for Spring Boot properties in .propertiesformat. application.yml => activates support for Spring Boot properties in .yml format. This package analyzes your project's classpath and parses and indexes any Spring Boot Properties Metadata it finds. Both Maven and Gradle projects are supported. The data in the index is used to provide validation, code completions and information hovers while editing Spring Boot Properties in either .properties or .yml format. Both YAML and Properties formats have support for Content Assist on property keys and values helping to write valid Spring Boot configuration files right from the start. Hovering over property keys provide valuable documentation about the purpose of the property and expected type for its value in a small popup window. Released versions of this package can be installed directly from the Atom package installer.